A rare three-seat sofa designed by Florence Knoll for Knoll International and produced by De Coene in the late 1950s. 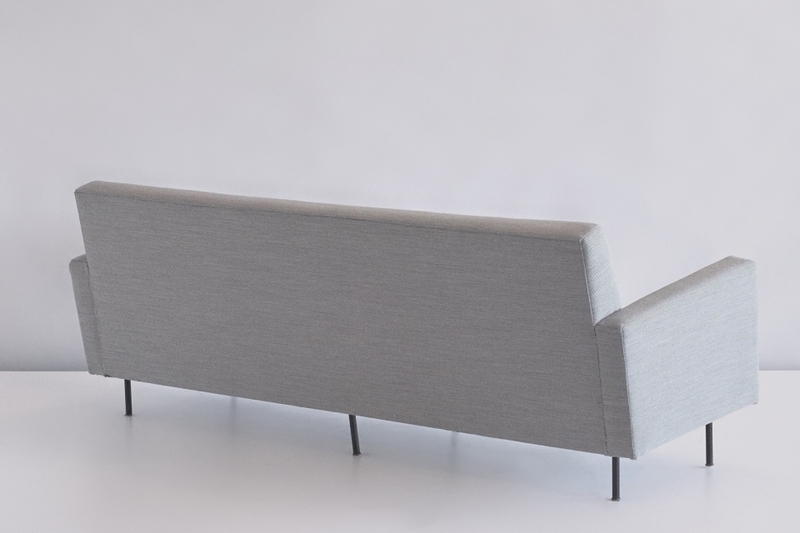 The sofa has been fully reconditioned and newly upholstered in a grey Kvadrat Steelcut Trio fabric. 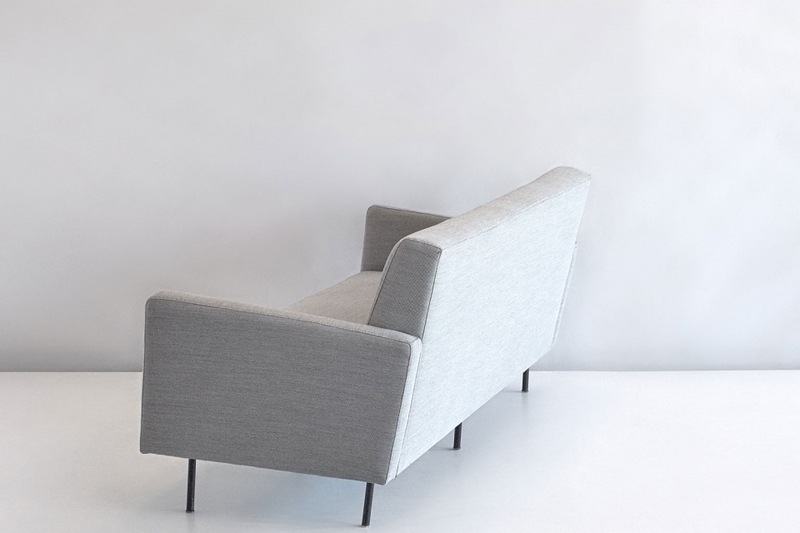 From 1954 onwards, the renowned Belgian manufacturer De Coene produced Knoll furniture under license. A substantial number of influential Belgian and other European architects started to incorporate Knoll furniture in their designs to emphasize the modernity in their work. Bibliography: Steven and Linda Rouland/ Knoll Furniture 1938-1960, Schiffer Publishing. Atglen, 2005, page 77. Charlotte and Peter Fiell. Decorative Art 60s, Taschen. Cologne, 2013, page 92-3.